Painted as a sheet of tattoo flash. 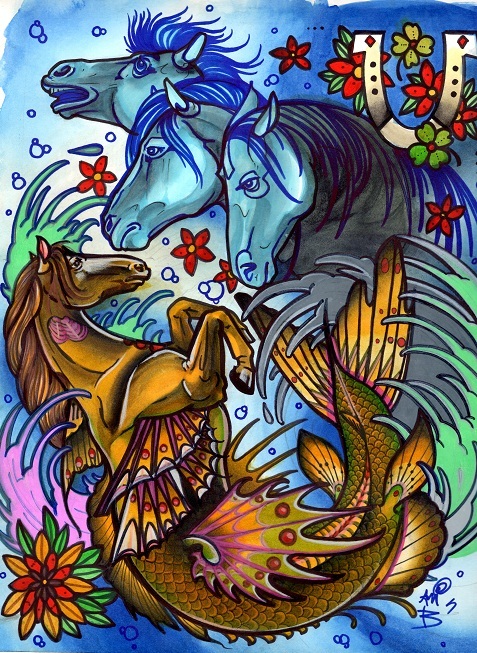 Selkies are nefarious horsies that live in the ocean. They’re gorgeous. Then you see one and try to bridle it and take it home and it drags you in and drowns you.